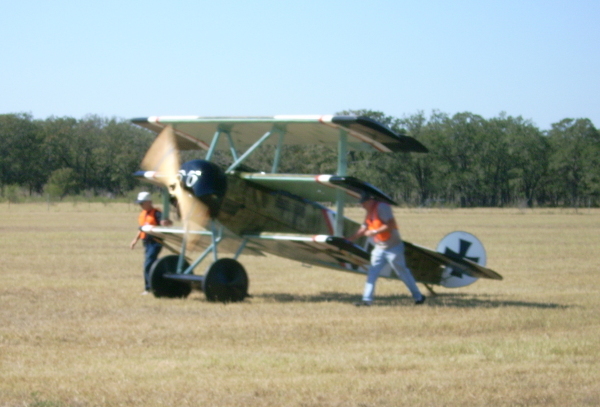 The weather was just about perfect for this year's Fall Fly-In and Picnic. Mild temperatures, plenty of sun, and not too much wind made for great flying weather for our old and not-so-old airplanes. We pulled them all out onto the grass in front of the hangars for display, while leaving enough room to move them out for demo flights. Thanks to a great deal of hard work by the Pioneer Flight Museum volunteers, we were able to fly the Fokker Dr.I triplane, the Curtiss Canuck, the Piper J-3 Cub, and the Meyers OTW. In addition, fly-in guests kept the flight line and runway hopping with all sorts of aircraft. We also saw a nice turnout from various car clubs, who brought a nice selection of custom cars and projects. 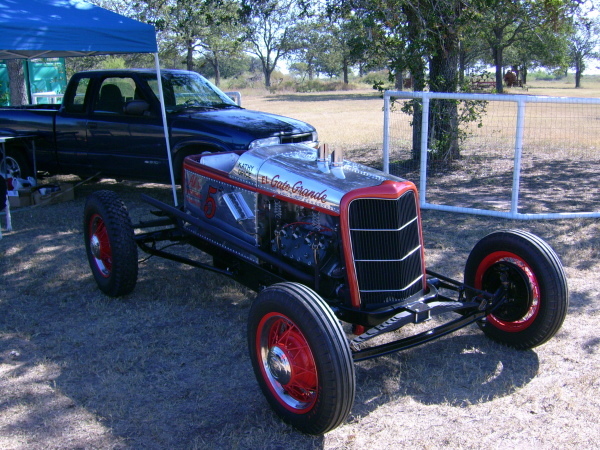 These included a reproduction California desert racer, and a couple of rat rods that put on impromptu drag races down the runway. Again thanks to the hard work of our volunteers, several of our Model Ts were out and about. The wrecker, Signal Corps truck, and TT stakebed truck were all running, giving rides and providing transportation for volunteers and workers. 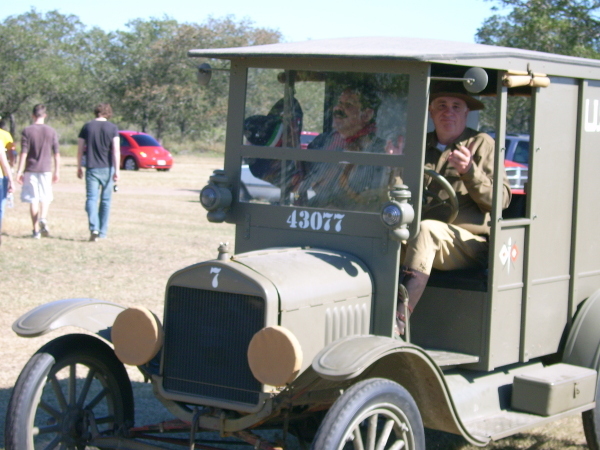 The Signal Corps truck also got used by re-enactors to put on a skit dating from the Mexican Punitive Expedition in the early 20th century. All in all, it was a great day to have a fly-in, and we had a lot of fun!